Today we will focus on how to taking pictures without tripod at home in difficult light conditions. Beginner-photographer buys an expensive camera and lenses, and does not want to to spend money on additional equipment. In the evening after work, the newly-born photographer returns home, turns on lights, pulls out camera and understands that there is not enough light for photography. 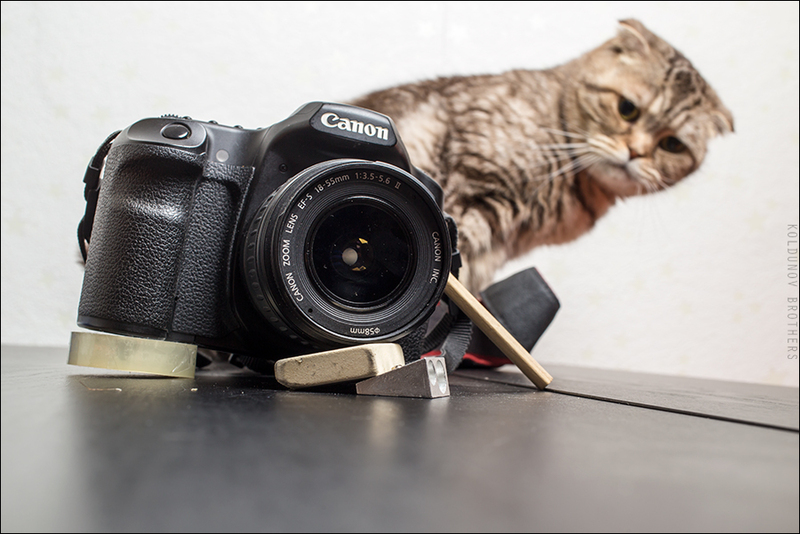 He does not want to increase the ISO and has to do shutter speeds slower. But as a result photos are blurry. Without a tripod photographer begins to think up how to stable the camera. And then difficulties begin. Anyone who has ever went through such situation knows that it is not an easy task. 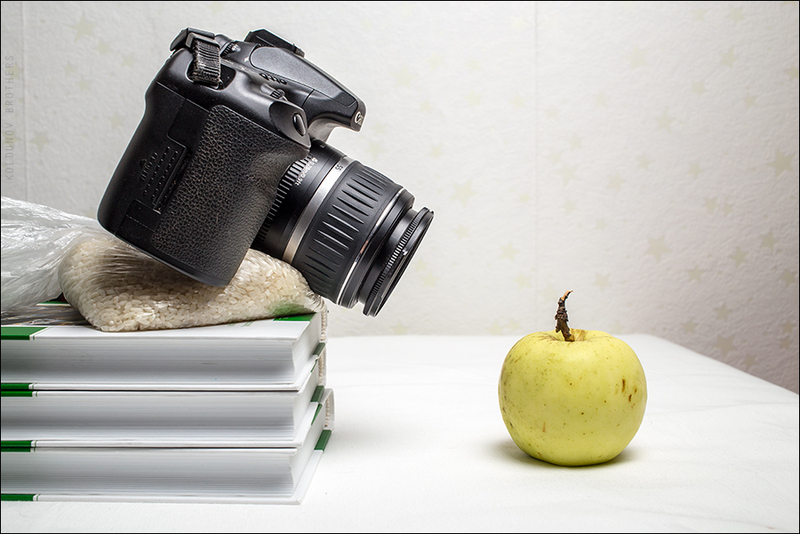 You always want to turn a little or tilt the camera at a slight angle, and it is really difficult to do when the camera is standing on table or piles of books. 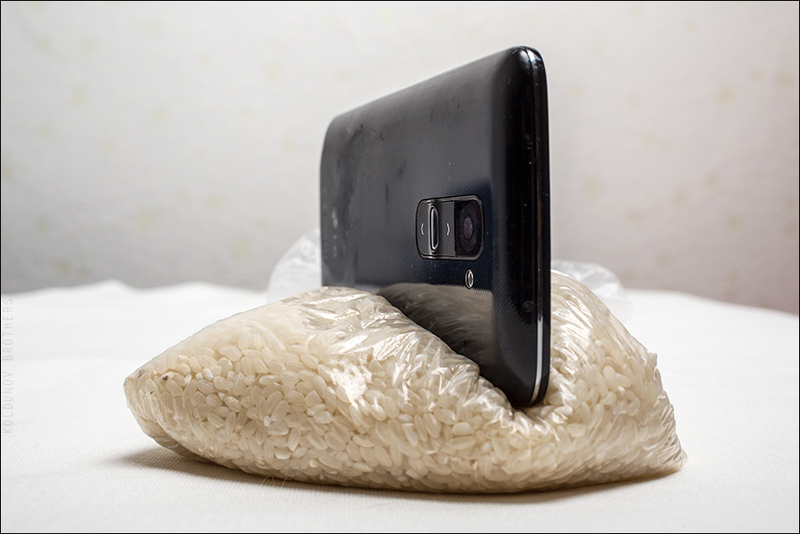 In order to make your life more comfortable there is a very simple and very old photographic trick – find the package, pour in a package cereal grains and put camera on it. Fill it with rice, buckwheat, peas, etc., then try to remove air and ties. All our staff is ready to use. 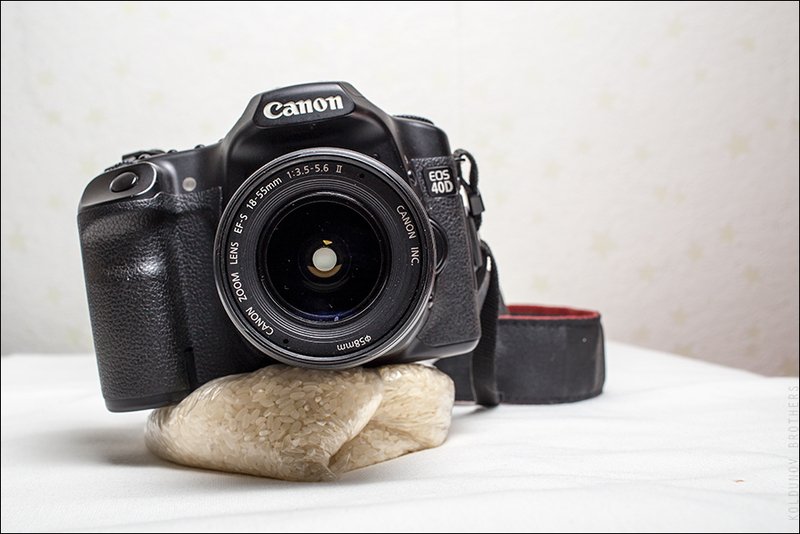 Tripod is ready: put camera on top of bag, in the same time giving “your tripod” right shape. 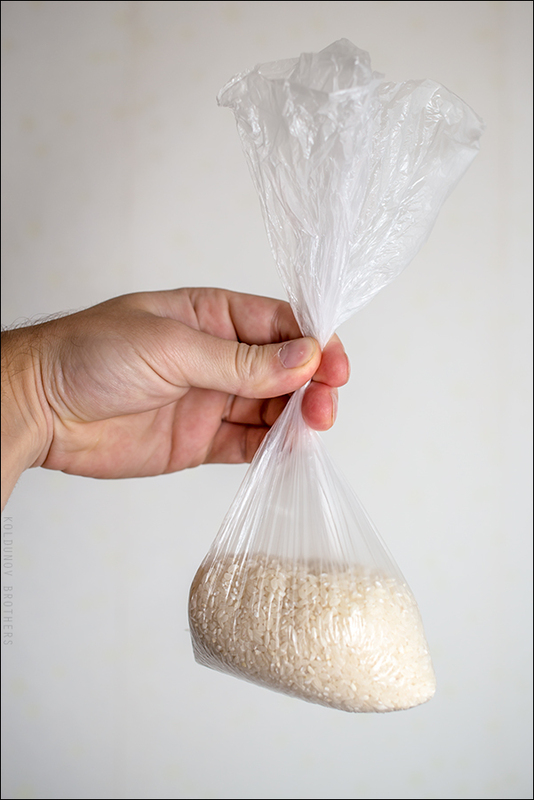 You can experiment with the size of the package and the amount of cereals, creating the most convenient “tripod”. Together with other “tools” such package will allow you to use a sufficiently wide range of camera angles. By the way, this “tripod-package” can be used not only for taking pictures using classic cameras. For example, we managed to put mobile phone on it. Soon we will tell you more about other photographic tricks, that will not cost a lot.